What a fantastic time we had and what a phenomenal turn out! 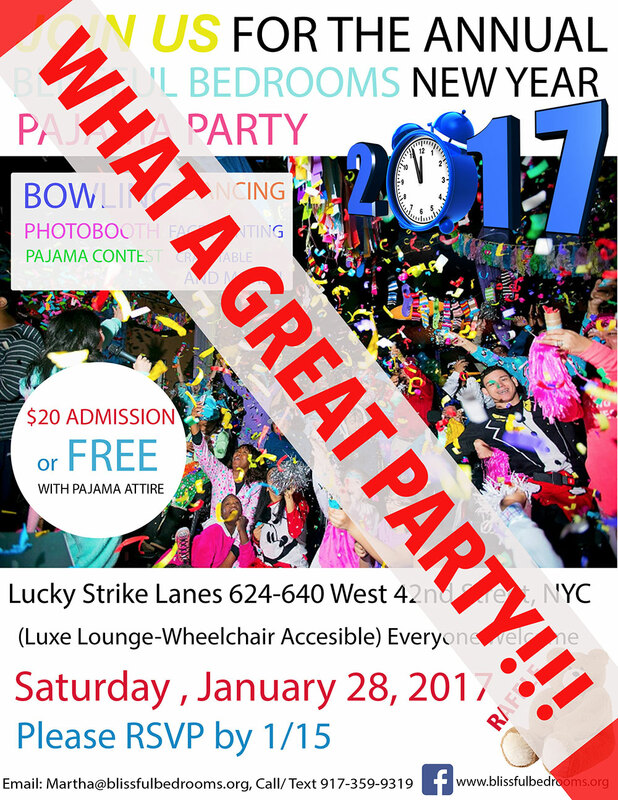 This marked our 6th annual new year gathering sponsored by Lucky Strike! We truly consider their backing an incredible blessing, as their loyal support helps us to bring enormous joy to our community of disabled youth and their family and friends. We have so much gratitude and respect for the Lucky Strike management and staff, who enthusiastically welcome us back each year, and are genuinely happy to see us. They treat us with such honor and go out of their way to help us create a magical celebration for our guests! As you can see from the photos below, we had the time of our life! A shout out to all of our fun-loving guests who wore their pajamas and contributed to making the atmosphere festive and funky! You all looked so awesome!! 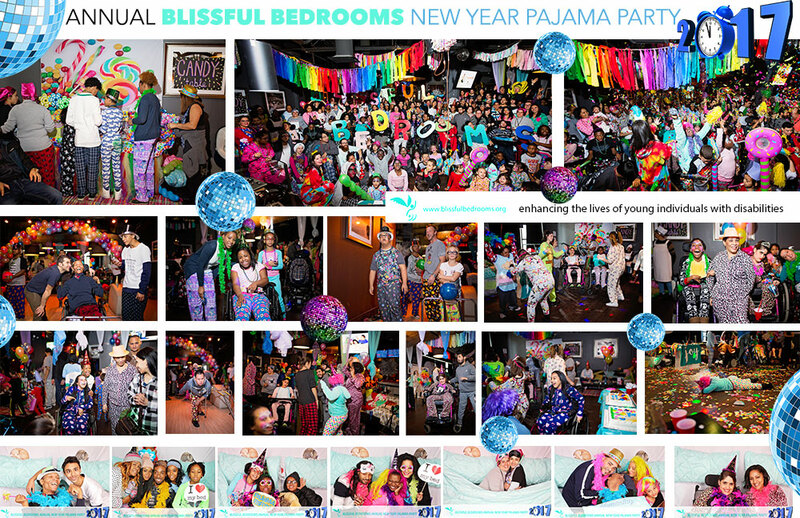 We hope everyone enjoyed themselves as much as we enjoyed creating this magical pajama party for you all! Much love and gratitude to our generous sponsors and treasured volunteers who made all of this joy possible! We are grateful for all of our partners in compassion! Check out the complete photo album from our event. Thank you Alexographer for, once again, capturing the art and heart of our event with your candid event photography and BeLIGHTful Photo Booth!